The Ishido Kei (石堂系) had its foundations in Omi Province. Omi Province was the home of many well-known smiths from the late Kamakura period into the Nanbokucho period. Some of the more famous smiths were Takagi Sadamune (高木貞宗) and Kanro Toshinaga (甘露哉俊長). They had many descendants but very few of their works survived so that by the time the Tokugawa period began, there were not many of these descendants left in this province. Around the Meio Era (1492), many of the Osafune-kaji from Bizen came to Omi and made swords thus breathing new life into this area. Among these was Sukenaga (助長) who moved to this area and is said to have founded the Ishido Kei (石堂系). During the early years of the Edo period during the Kanei Era (1624-1644), the various groups of smiths who made up the Ishido Kei (石堂系) left Omi and split into three groups. These three groups moved to Edo (Musashi Province), Wakayama (Kii Province), and Fukuoka (Chikuzen Province). These three groups prospered in their new areas throughout the Shinto period. The group that moved to Wakayama later moved to Osaka. This group is called the Kii Ishido (紀伊石堂) school. The leader of this school was Tosa Shogen Tachibana Tameyasu (土佐将監橘為康). 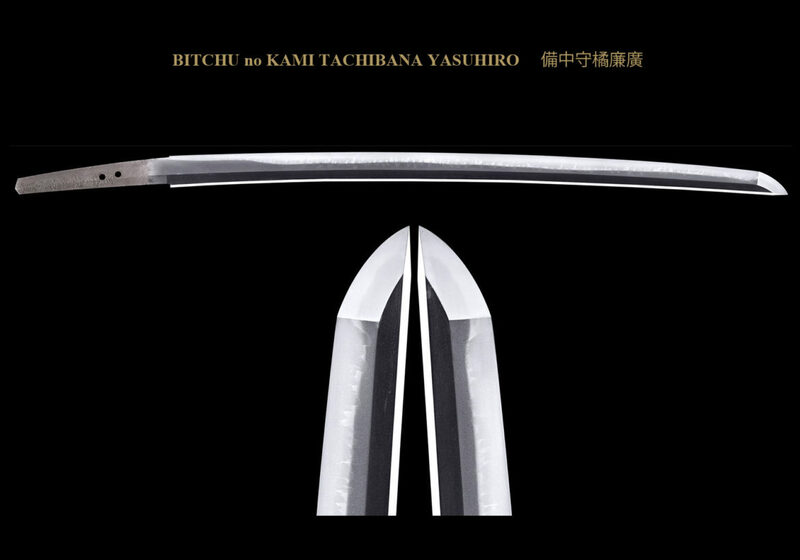 The second generation Tameyasu (為康) was given a title and then called himself Mutsu no Kami Tameyasu (陸奥守為康). 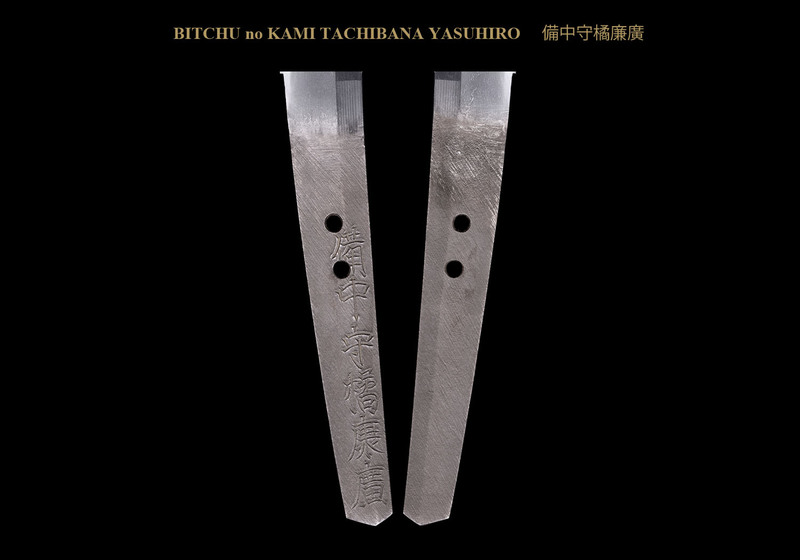 The brother of the second generation was Bitchû no Kami Yasuhiro (備中守康廣). His line continued for three generations. Other smiths in this school included Kawachi no Kami Yasunaga（河内守康永） and Bizen no Kami Sukekuni (備前守祐国). Tatara Nagayuki (多々允良長幸) was Yasunaga’s (康永) student and one of the finest Bizen style smiths to work during the Shinto period. 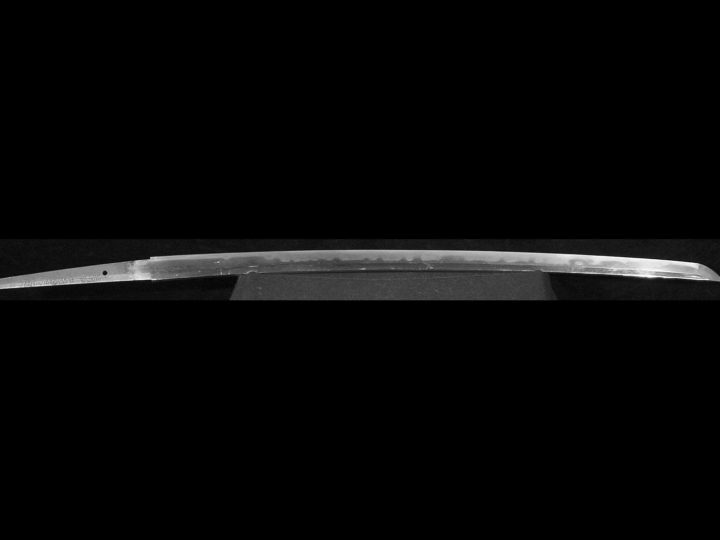 SUGATA: The katana have a relatively short length, and the mihaba becomes narrow in the upper area. 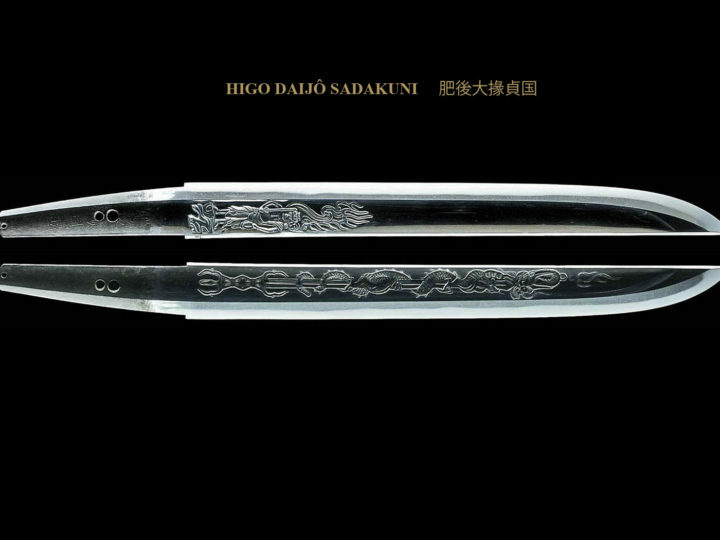 The Ishido school produced many shinogi-zukuri wakizashi. Tanto are few. JITETSU: Ko-itame hada mixed with o-hada that is inclined to be masame-hada. Utsuri is seen at times. 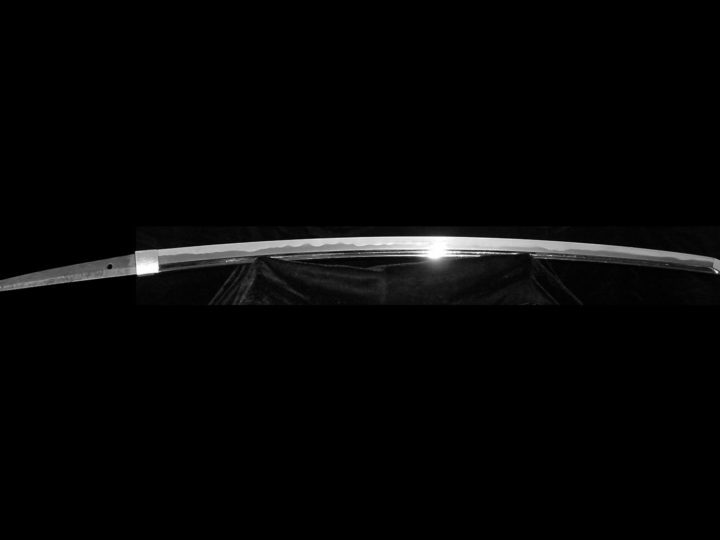 HAMON: The hamon is choji midare mixed with koshi-no-hiraita midare consists of nioi and is wide, occasionally there is saka ashi. The school’s choji midare is different from the Koto in its yakidashi and the size of its choji. O-choji midare and koshi-no-hiraita midare can both be seen. Usually they are in nioi deki, but they are not pure nioi deki, having a hint of nie. 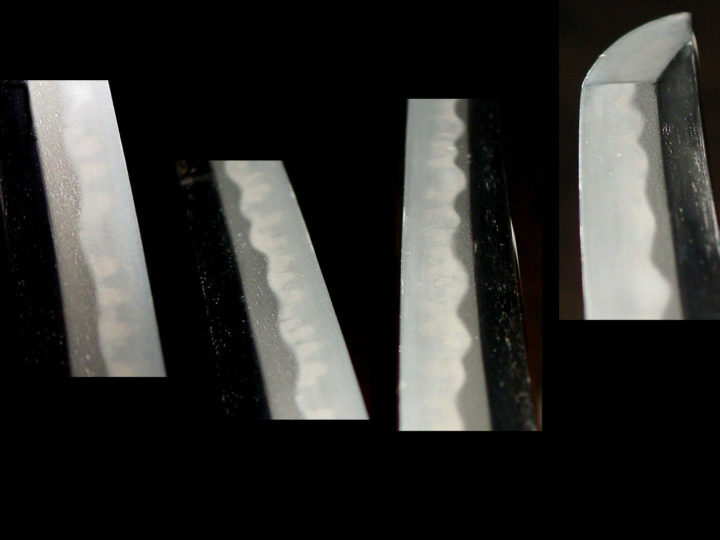 The overall tone of the ha will be Bizen style. BOSHI: Ko-maru sagari or midare komi in a small pattern with a short kaeri. Chu-kissaki. There is some hakikake. NAKAGO: Kaku mune, the saki is katayamagata or ha-agari kurijiri. The yasurimei is yoko, katte sagari, and sujikai. There is no kessho yasuri. On the first generation Yasuhiro a kiku mon is often found by itself on the ura of the nakago.